So today I was helping one of my real estate clients with their online marketing. 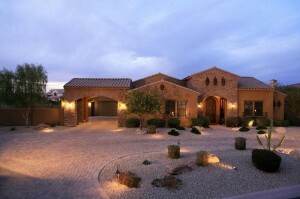 He’s a luxury market specialist in the Paradise Valley and Scottsdale areas. He’s been a top producer in real estate since 1991, so this guy knows his way around the industry. For the past couple of decades, he’s built a solid and rewarding business all based on referral. Now it’s time to take it online. I’m not going to go into all of the cool things we’re setting up to get his marketing systems working together. Nor will I tell you what platforms we’re using, or any of my super secret real estate marketing tips that will make this agent shine online! “Why not?” you’re wondering. You may have arrived at this post hoping for that exact knowledge! Every agent is DIFFERENT. There is no one generalized tip that will change your marketing for the better. It’s my job to help real estate agents GET to the top…so I work WITH an agent to get their entire marketing strategy optimized for their individual goals. Most importantly, it’s not the point of this post! I had my client pull up the TOP dollar listings listings in Scottsdale and Paradise Valley, and I was shocked. Listings that are priced at a cool $28 million have 3 photos on the MLS. THREE. And not even GOOD ones. And to top it off, there were luxury listings that had a 2-sentence MLS description. Call me crazy, but if you are marketing a Luxury listing…you are NOT just loading it into the MLS and saying a prayer. And I’ll not be persuaded with your argument that “the home isn’t built yet.” With a sticker price of $28 million, it’s time to get creative if all you’ve got to show is unbroken ground on the vacant lot on which your luxury listing will sit. With that sticker price, the home IS included. So there’s no excuse. Tell the STORY. You’re not just selling a piece of real estate when you’re marketing luxury listings. You’re selling a lifestyle. So figure out who your target market is and what’s important to them. Then spin a tale to draw them in. USE IMAGERY. For all that’s good in the land, PLEASE hire a professional photographer. Yes…there were luxury listings with “agent photographers” offering their services. Only have a vacant lot? There are renderings, nearby attractions like golf courses, shopping, wildlife preserves, hiking, luxury car dealerships where they can purchase a new car to fit in the 10 car garage, airports where they can park their private jets. You get the idea. Take pictures of these amenities and weave them into your MLS listing. Like my kindergarten teacher used to say, “USE YOUR WORDS.” Seriously. I saw MLS descriptions with 2 sentences. If we were pricing per word and not per square foot, that would mean your services to market their luxury listing was running them approximately $1,000,000/word. Sound ridiculous? That’s because it is! Again…don’t be afraid to weave a story around your luxury listing. These are just a few tips…and really more of rant than an actual “top 3 things to do when marketing a luxury listing” type post. Because I would think that an agent that has enough clout to land a high priced listing has enough wherewithal to figure these top 3 tips out. But based on what I saw in the MLS…this blog post was well warranted. So enough of my rant. In all sincerity, if you are an agent that has a luxury listing and you need fresh ideas on how to market it, let me know. I’m happy to help! But if you’re an agent who simply wants to weigh in…leave your best luxury marketing tip in the comments.